This adorable wooden tray would look great with your farmhouse or rustic decor! 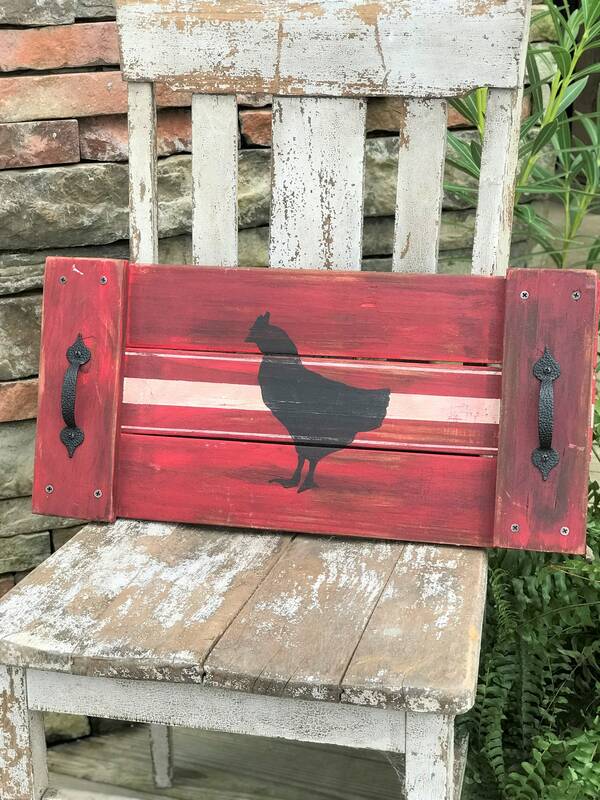 It measures 10 1/2"x22", is painted a rustic red with a black chicken and white grain sack stripes, The handles are hammered metal in black. Made with 100% reclaimed lumber. This was my second piece that I purchased and I love it. TheCrankyQueen makes some amazing stuff ya'll. You will be very pleased just like I am.